Here's a glimpse at the 2012 Toronto Carnival Events Calendar. Highlights for me include the move to Downsview Park for Junior Carnival and the plans to make Pan Alive an all day event. As a pan player and aficionado this really excites me.....a whole day for pan!!! I hope these plans come through. Check out the list of events below, plug the dates into your calendar from now and SUPPORT SUPPORT SUPPORT our culture!!!! · Living Art through the presentation of stunning costumes known popularly as Mas’ at the Junior Carnival for kids age 2 to 16 years and Marquee Lakeshore Boulevard parades in a cosmopolitan Toronto. 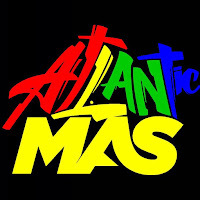 · Performance Art capturing the original music in its diverse forms - soca, calypso, pan, and chutney music to animate the masqueraders and propel their dance steps as well as spectators. · Ritualism motivating millions of visitors that have continued to make the city of Toronto the destination of choice for an absolute stunning Carnival event. Our festival takes place at various locations in Toronto engaging many sectors of our city and citizens. This year we are offering improvements to the traditional events. Junior Carnival Official launch – July 16. It’s all about the kids. This year, the event would be moved to a new location. Downsview Park. Festival Official Launch – July 10. It’s the event that attracts wide media coverage especially by our media sponsors – television, radio, print media, and social media. It presents a snapshot of what’s on for the Festival. GTAA Launch – July 20. It’s another year for the Greater Toronto Airport Authority partnership with the Festival Management Committee to promote the festival at the gateway to the City of Toronto with Caribbean entertainment and tastings. Citizenship Ceremony – TBD. Witness new Canadians being sworn in as citizens of Canada within a welcoming flavour of the Toronto Caribbean Carnival and Festival. Location: North York Civic Centre. Carnival Art – July 29 to August 12. A unique display of Carnival costumes and the history of the festival featuring photography capturing Carnival around the city and also featuring the pioneers of the festival with the recollection of the festival over the years. Media Conference at the Royal Ontario Museum - July 12. Junior Carnival – July 21. The kid’s version of the Marquee parade attracting over 30,000 spectator visitors comprising families and featuring 2,000 mini masquerades, some as young as two years taking place close to one the city’s priority neighbourhood with partners such as 31 & 32 Division of the Metropolitan Police. This year the festival would be at the Downsview Park. CTV/CP24 BBQ – July TBD. It was so successful the last two years that they’ve decided to do it again – an outdoor BBQ from Queen Street to Richmond Street that celebrates the festival with costumes, music, and of course, delicious food. Annual Gala– July 27. An elegant evening at the Liberty Grand that showcases masquerade models, music, dancing, exotic food, and signature drinks – sensational sights, sounds, and tastes. Attended by sponsors, donors, and partners, this event attracts the well-heeled clientele who bid on exciting prizes to support an identified cause. Location: Liberty Grand Entertainment Complex located on the waterfront - the epitome of luxury and elegance. The Calypso Tent Music Series (CTMS) – The Calypso Tent Music Series (CTMS) will run for 5 weeks on weekends beginning June 9th and ending July 8th. Location: TBD. Calypso STARS Showcase – August 1. Gareth Burgess, Carnival Arts characters: Moko Jumbies (Swizzlestick Theatre), interactive Sailor Dancers (Hummingbird Dance Co.), and the Midnight Robber (Afro-Caribbean Dance Co.), Ossie Gurley & Calypso All Stars. Location: Harbourfront Centre. King and Queen Competition and Show – August 2. A spectacular display of the talent and artistic skill of the designers and costume builders of the King, Queen, male and female individual costumes paraded in front of a captivated audience. These masqueraders compete in costumes that weigh two to three times their body weight. Location: Allan Lamport Stadium – capacity 6000 spectators. Grand Parade – August 4. This is the marquee parade that is the showcase of the Festival. After months of preparation, masqueraders in colourful and striking costumes and steel pan bands wind their way from the assembly area at Exhibition Place along a 3.5 kilometre stretch on Lakeshore Boulevard. This performance of bejewelled masqueraders continues to draw millions from all over the world to see the live performing street art year after year. With opportunities for VIP seating in designated, controlled areas which will include upgraded seating, tents, and marketplace. Location: Exhibition Place, Ontario Place, Lakeshore Boulevard. Tropical Rhythm Food Festival – Islands Come to the Islands at Ontario Place – August 5 and August 6. Continuing the tropical Caribbean ambience of the festival, cool down on the south beach at Ontario Place or have fun in the park while enjoying ‘de lime’ with food, music, dance, and an array of fun activities for two days. Be up close and personal with the Bahamian Jankanoo band, ShortKnee performers from Grenada and the Rhyming chef who combines his unique talent of cooking and rhyming – the best way to end the long weekend. Enjoy the Tropical food festival and island hop to tasty, spicy morsels of Caribbean islands. Location – Ontario Place, a cultural and entertainment park within easy reach of the city. Canada Rugby League – TBD. A new event featuring fans of rugby league is adding the sporting dimension to the festival. “Governed by the Rugby League International Federation, the sport is officially played in 57 countries across the world. Most popular in England, Australia, New Zealand and across the Pacific, the largest professional associations are the National Rugby League and the European Super League, with a combined fan base of over 100 million”. The event in Toronto will feature a matchup between the Jamaican international team and Canada for the first annual Toronto Caribbean Carnival Cup) and include a concert featuring artistes from Jamaica. Location: TBD.